CASEY have selected 11 Melbourne-listed players in their squad to take on North Melbourne in Saturday’s VFL match at Casey Fields. Following his omission from Melbourne’s side to play Sydney, Alex Neal-Bullen has been named in the reserves and will push for a return to the AFL fold. After playing on reduced minutes against Box Hill last weekend, forward Jeff Garlett will also be keen to put in a good showing against the Kangaroos after overcoming an early season shoulder injury. Harry Petty, Declan Keilty, James Jordon, Corey Maynard, Oskar Baker, Toby Bedford, Tim Smith, Kade Chandler and Tom Sparrow are the other Melbourne players set to take the field for Casey. 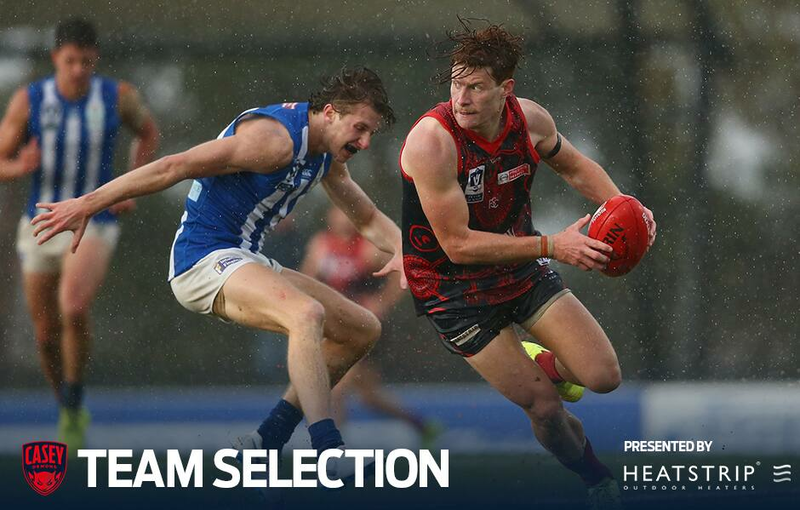 The last time these two sides met, Casey kept North Melbourne goalless in heavy rain at Casey Fields. Casey’s squad will be cut down to 23 half an hour before the bounce on Saturday afternoon.